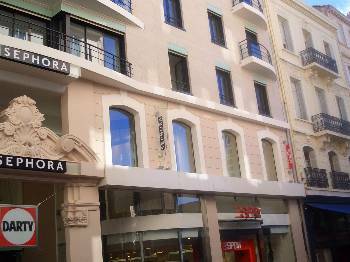 Fully air-conditioned, 3-bedroom apartment, right on Rue D'Antibes, 100m from La Croisette & very near the Cannes Convention Center - at 90 rue d'Antibes. 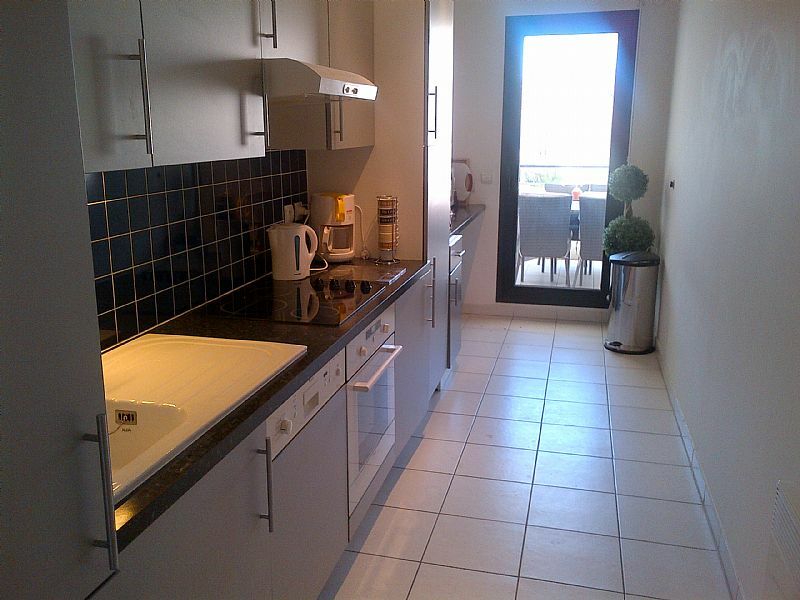 Luxury three bedroom newly constructed apartment - three minutes from Palais & Convention Centre. It has a fully-equipped kitchen with electric oven, large refrigerator/freezer, microwave, dishwasher, and washing machine. The apartment has its own private underground parking space, right underneath the apartment building. The shops are right on your doorstep. Tennis is available at the Cannes Tennis Club, which is about a 10-minute walk away, behind the Martinez Hotel. This 3 bedroom / 3 bathroom apartment with terrace is on the 3rd floor, in a residence called Jardin Florian, situated Rue DAntibes. The apartment is approximately 110 sqm (+15 sq m of terrace) and has south-west exposure. It is fully air-conditioned. There is an intercom system, and an elevator. A parking space is also available in the private underground car park, right underneath the building, with a private elevator up to the apartment level. 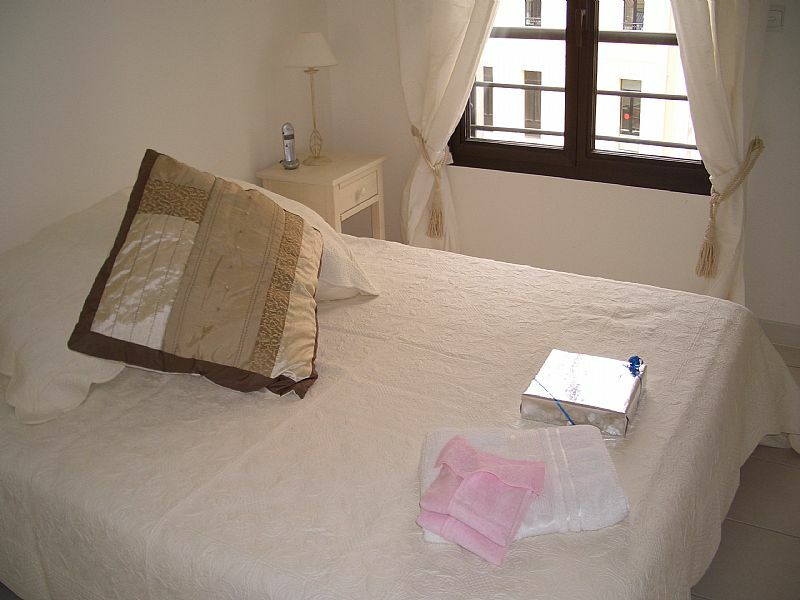 This accommodation is available for weekly rentals throughout the year. The living room is furnished with two double size sofa beds, an armchair, a dresser and a round dining table seating 4. For your entertainment there is a cabled TV, WiFi ADSL fast internet connection, a VCR, a DVD, and a stereo with CD player. A French window opens onto the terrace. Outside is a table seating 4, if you wish to have lunch / dinner outside. The terrace overlooks the beautiful landscaped garden. The fully equipped kitchen has a refrigerator / freezer, an oven, electric induction hotplates, a microwave, a toaster, a coffee maker, a dishwasher, and a washing machine. The three bedrooms have either double king size beds or two twin beds, nightstands with table lamps and a large built-in closets. A telephone line, restricted to incoming calls, can be used with a prepaid card: there is a phone line in the living room and one in each bedroom. Bed & bath linens can be provided as an optional extra. 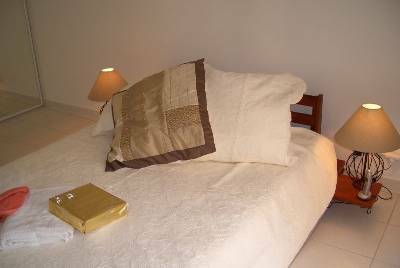 This accommodation is available for weekly rentals throughout the year. 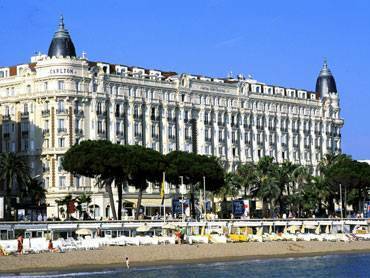 Please note that a minimum 7 night rental is required during conference periods in Cannes. 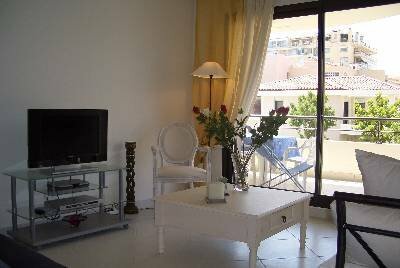 * Location - the residence is located right on Rue DAntibes and is about 100 metres from the beach. 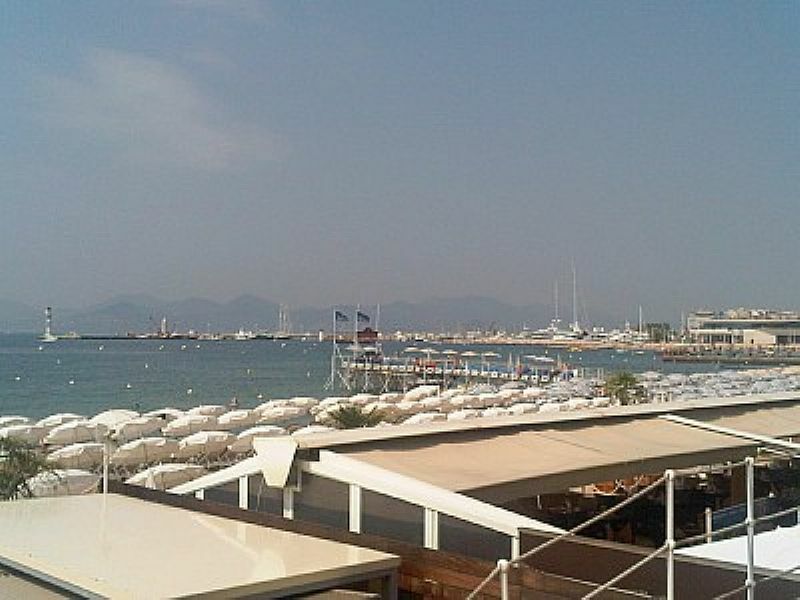 The Croisette, in Cannes, is where you will mingle with the rich and famous. The "Croisette" is the Rodeo Drive of Beverly Hills, Manhattans Fifth Avenue, or Chicagos Lake Shore Drive. 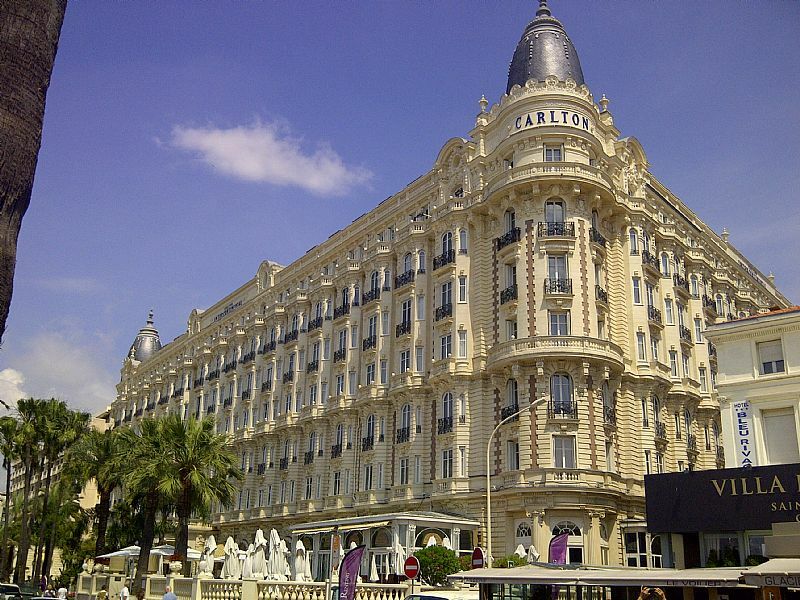 On the Croisette you will find the boutiques of the Haute Couture designers of the world including Versace, Hermes, Channel, Cartier, Louis Vuitton, Bulgari, Yves St. Laurent, and many, many others. 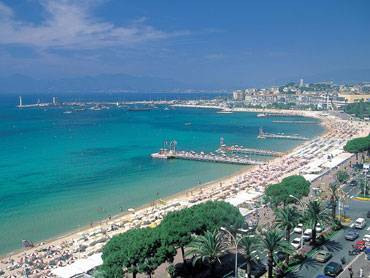 * Here you will find the casinos Cannes is famous for: they are located in the Carlton Hotel, the Noga Hilton, and the Palais des Festival. The fourth casino, the Palm Beach Casino, is located at the other end of Cannes in the Palm Beach area. Why not start planning your vacation right now??? Here is an idea for a one-day itinerary!... Breakfast in Cannes... lunch in Monaco.. dinner in Italy... back to sleep in Cannes the same night... sleep till 9:00... catch the 10:30 AM train to Monaco. Take a taxi up the big hill to the Palace in Monte Carlo ($10). Visit Monaco and have lunch in Monte Carlo. At 5 PM walk down the hill to the train station and take the 5:30 PM train to downtown to San Remo Italy, about 45 minutes on the train. There you will find wonderful shopping, great prices, till 8 PM. Have a great Italian dinner by the sea in the old fishing harbor and catch the 11 PM train back to Cannes. Midnight in Cannes - walk home fall into bed!!! Property very clean and neat,lovely location,Mr Thomas very helpfull. The main advantage of this spacious, elegant apartment is its location - right in the heart of Cannes near the shops, restaurants, sea and railway station. If you do have a car, the apartment also has an underground car park, which is a huge plus given the lack of car parking in the town. There are two double bedrooms, a third bedroom with twin beds and a sofa settee in the lounge- so the flat can accommodate quite a large party if required. 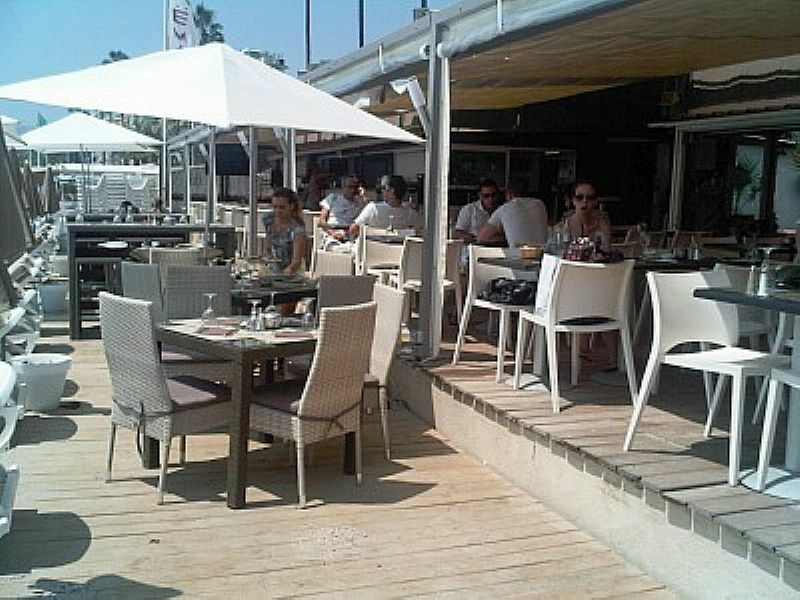 There is also a quiet terrace, overlooking a garden, where you can eat and sunbathe when the mood takes you. If you are a techie- the flat provides an internet connection and also has Sky TV. The owners are very charming and very responsive to any queries you might have and speak a number of European languages so its generally easy to communicate with them. something- and would definitely recommend it. The apartment was beautiful! It was really clean, roomy, and so close to everything! The beach was a five minute walk and it was a free beach which was great, 10 minutes down the road and there was beach that you pay for, the apartment was in a great location so we were able to do both. 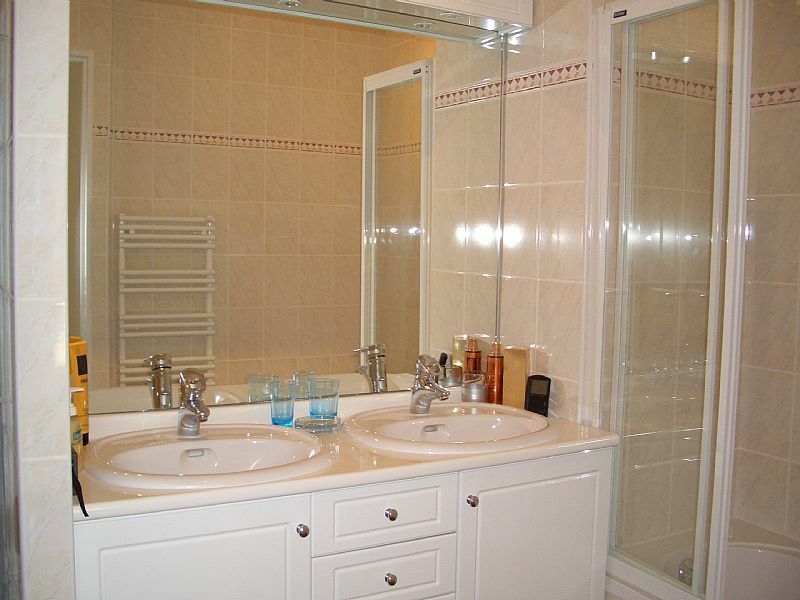 The location of the apartment was one of its best features, it was right on the high street and was very secure. We all felt very safe in the apartment. The style of the apartment was very modern, which is good as it appealed to everyones taste, but it was also very homely with lovely touches around the flat. 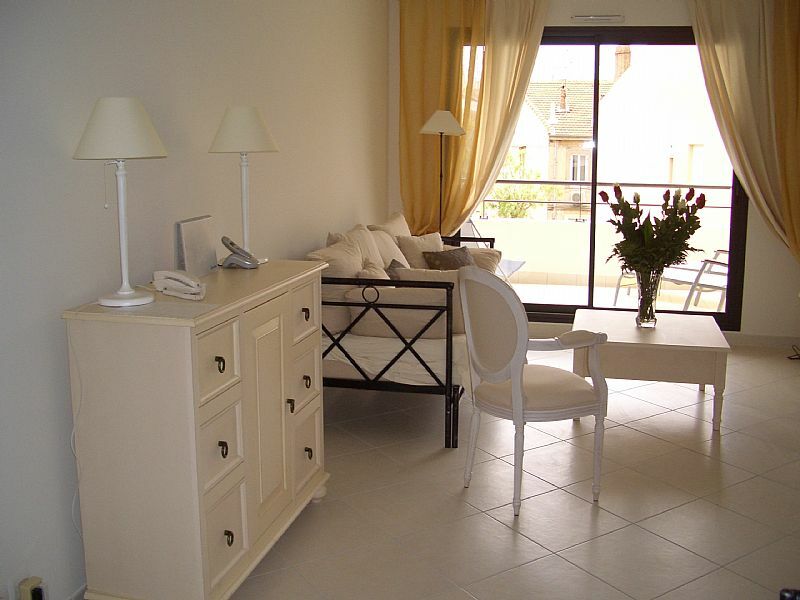 For a fabulous holiday, in the heart of Cannes... definitely book this lovely apartment. 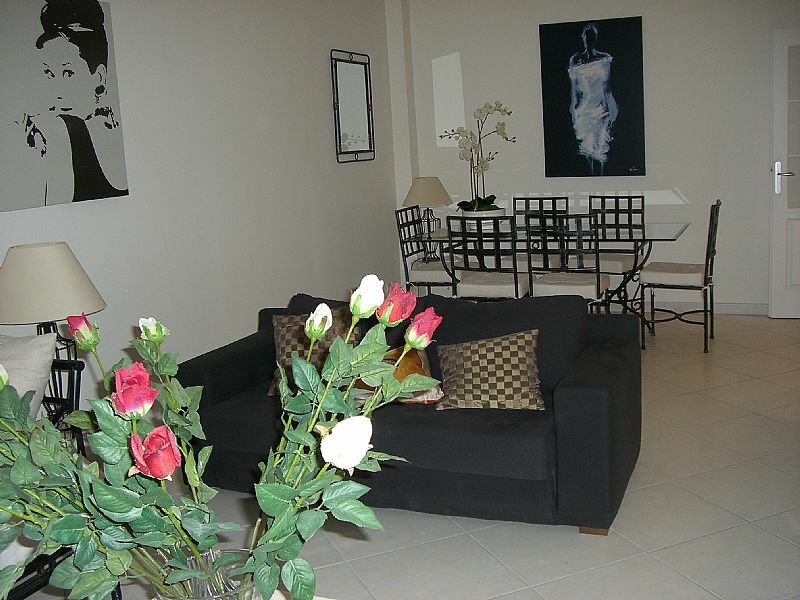 Fantastic apartment - well equipped, spotlessly clean, beautifully furnished and a great layout. 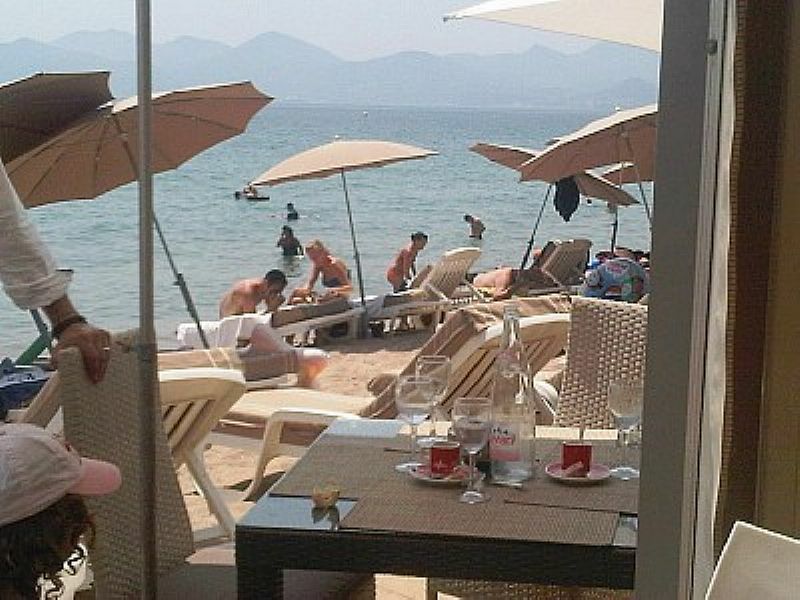 Loved the location, smack bang on the best shopping street in Cannes and a few minutes walk to the beach, local bars and restaurants. Surprisingly quiet given that its on a busy street, but the noise doesnt filter up and the shutters at night keep it blissfully quiet, dark and no doubt in the summer months, cool, Nice private terrace at the back. Thoroughly enjoyed my stay. Katherine was very helpful in getting us into the apartment and everything up and running. A fantastic apartment in the middle of Cannes, perfect location with only a 5 minute walk to the marina and main restaurants. 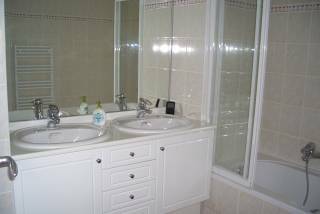 The apartment was spectacularly clean, with three en suite bathrooms which made the living of 5 people there, very comfortable indeed! The kitchen and lounge offer extra space for everyone to use. I love the outside terrace area, lovely at all times of the day especially in the evening for dinner with family and friends. The kitchen is kitted out with all the necessary appliances which make cooking stress free! The apartment is extremely safe, with fantastic security. Below the apartment are bakeries, shops and a pharmacy. 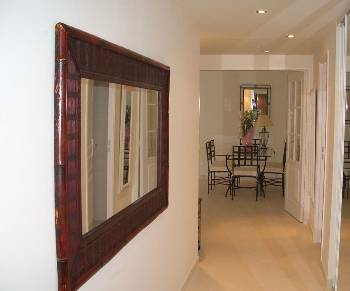 I would absolutely recommend this fantastic apartment to couples or families as it would easily sleep up to 10 people. 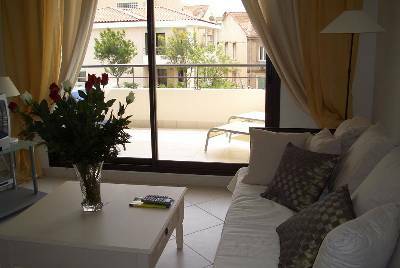 This wonderful apartment on Rue DAntibes is in a perfect location, fantastic shopping just outside the door and its a couple of roads away from the beach and the trés chic Croisette. Despite being right on Cannes equivalent to Oxford Street, a long stretch of wonderful shopping, it was still peaceful. At night, electronic shutters cut out all noise and light and I was cocooned in a very comfortable bed and had the best nights sleep in years! If all that gets too much, the apartments sheltered terrace provides a delightful sun trap for a spot of sunbathing. 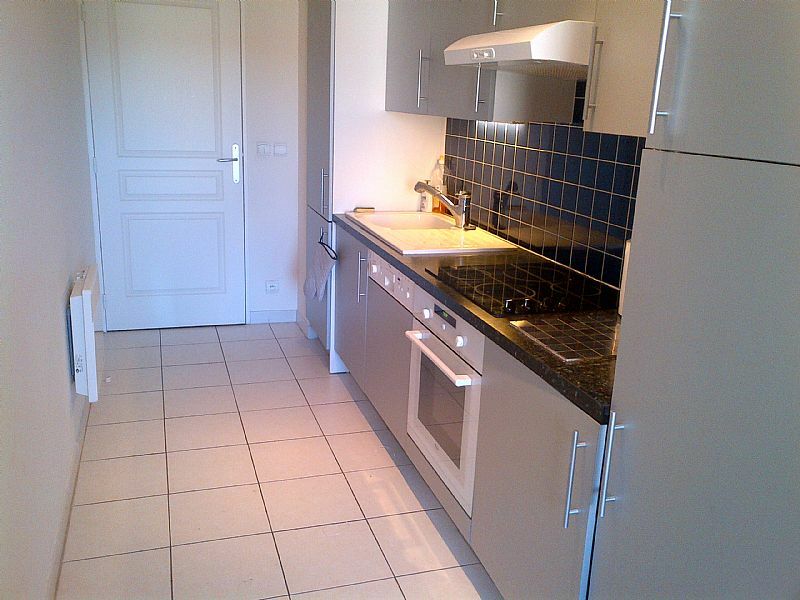 The location was fantastic, right in the middle of bustling Cannes and the apartment really fits the bill too. 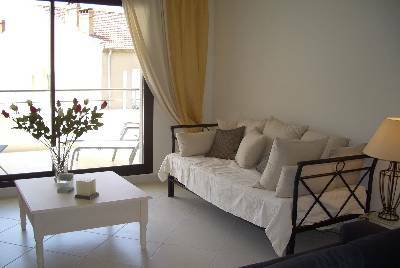 The apartment, is in Le Jardin Florian, a newly built block on the Rue dAntibes, is comfortable, very well furnished and has everything one could want to make ones holiday perfect. 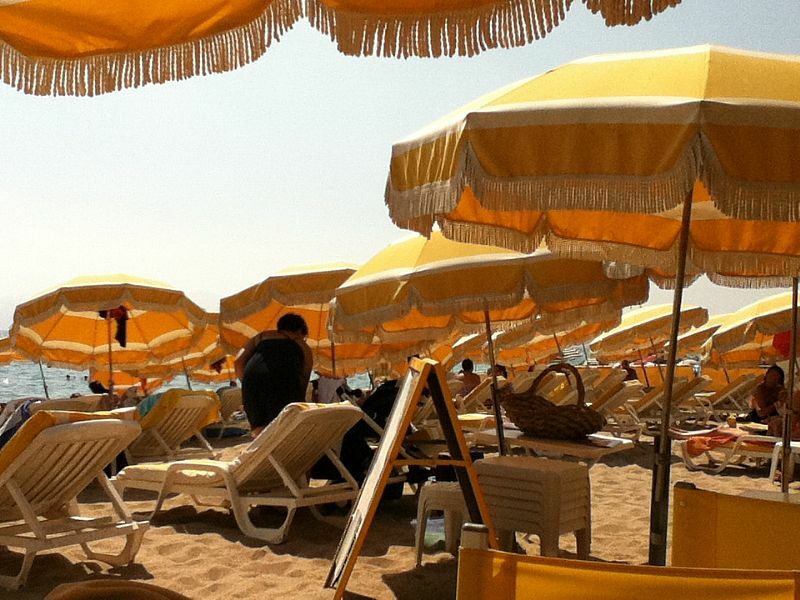 It is so close to the beach but right next to a multitude of shops and restaurants. A definite find! The apartment last year was a huge success and I wondered if I might take the liberty of provisionally booking it for the MIPIM Confernce in 2008?The dates are 11-14 March. I would appreciate it if you could let me know as soon as possible please. Kind regards. Jenny -------------Lawrence Graham LLP - Solicitors4 More London Riverside, London SE1 2AU. +44 (0)20 7379 0000. This 3 bedroom/3 bathroom apartment with terrace is on the 3rd floor, in a residence called Le Jardin Florian, situated at 90, Rue DAntibes. The apartment is approximately 110 sqm (+15sq m of terrace) and has south-west exposure. It is fully air-conditioned. There is a video entry-phone system, and an elevator. A parking space is also available in the private underground car park, right underneath the building, with a private elevator up to the apartment level. 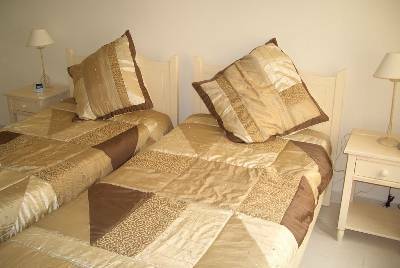 This accommodation is available for weekly rentals throughout the year. The living room is furnished with a double size sofa bed, two armchairs, a dresser and a rectangular glass dining table seating 6. For your entertainment there is cable TV, ADSL WiFi internet, a DVD, & a stereo with CD player. Numerous DVD discs are offered in the apartment. A French window opens onto the terrace.